Mike and Jennifer are on the verge of graduating college and just weeks away from their wedding. With all the wedding planning and college finals they hardly have time for each other let alone anything else. 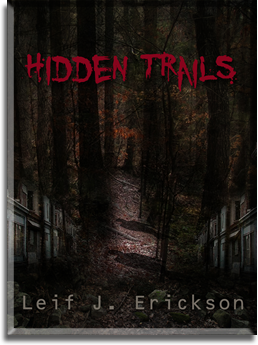 When one of their friends discovers the locations of the rumored hidden trails at the State Park where they hike, Mike is too tempted to stay away. Mike and his three friends set out for a weekend bachelor party of hiking the hidden trails while Jennifer and her girlfriends stay back at campus to finish schoolwork and prepare for the wedding. When no phone calls go answered and the boys don’t return to campus, Jennifer and her friends start to make plans to enter the forest as a search party. When a cryptic, late-night phone call comes to Jennifer’s phone, with Mike’s voice sounding like he’s in pain, Jennifer and the girls take off for the park right away. As the girls get to the park and start out on their journey, Jennifer’s only concern is finding Mike but her love for him and her mind thinking about what could have happened begins affecting her judgment. Savannah, the athlete and military raised girl of the group, takes over the search and rescue effort, causing friction between herself and the other girls. As all the girls fret over their futures and how nothing is certain or easy, they find themselves deeper in the forest, lost themselves, with only vague, unhelpful clues as to where the guys are. In the depths of the forest, along the hidden trails, the girls find an abandoned city with a strange orphan girl living there. After her parents died the teenager ran away to the city and began work to fix up some of the buildings. She agrees to help Jennifer and her friends find the guys but as they begin the search, the girls realize that something far more sinister is being hidden in the forest. One by one, the girls discover what happened to the guys, and learn that some things that are hidden are never meant to be found.